Japan's All Nippon Airways has been testing the Mototok Spacer 8600, a high-tech remote controlled device. The aircraft pushback trial run, which ends today, commenced on 21 September 2018. Approval for the trial run was obtained from Haneda Airport authorities. The Mototok Spacer 8600 is a remote control operated airplane pushback tug designed to reduce workload at airports and increase pushback precision by providing the controller with a wide angled view and the ability to confirm the aircraft's exact position at any time. In addition, the required training time will be shorter and more efficient in comparison to the conventional tug driver training. Using the new tug type also will also reduce maintenance costs and fuel costs. "ANA is constantly seeking technical advancements to continue to be a leader in the airline industry," said Shigeru Hattori, Senior Vice President, ANA Airport Center. "The Mototok Spacer 8600 will help ANA become more eco-friendly in a safe and cost effective manner. By enhancing our current training techniques our team will continue to improve and be the best in the industry." ANA chose Haneda Airport, the largest airport in Japan, as the site for these trials to view the overall impact the tug can have on airport workload. By reducing workload through the Mototok Spacer 8600, ANA expects a positive impact on efficiency. The tug was used on Boeing 737, Airbus A320 and A321, ANA’s smaller aircraft. 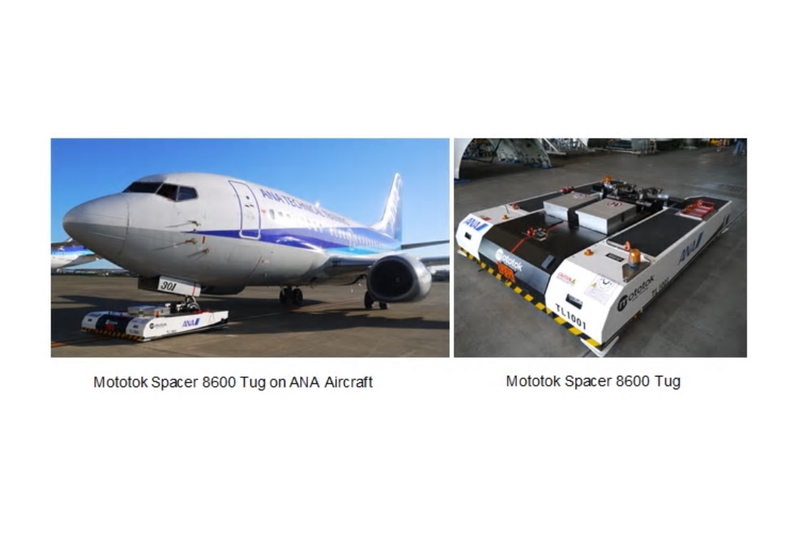 ANA hopes to fully implement the Mototok Spacer 8600 in its operations by 2020 and is considering introducing this device to larger aircraft in the future. See latest HD Video Interviews, Podcasts and other news regarding: ANA.